Welcome to the SpringHill Suites Sacramento Roseville, where our stylish and smartly designed suites are 25% larger than a comparably priced hotel room giving you room to succeed. Located 13 minutes N.E. of Sacramento and within two hours of San Francisco and Lake Tahoe, visitors may enjoy day trips to ocean beaches, snow covered mountain peaks, or the breathtaking outdoors. Nestled together are the cities of Roseville, Rocklin and Lincoln where visitors may enjoy attractions at two regional shopping centers, the Westfield Galleria and the Fountains Lifestyle mall with over 300 distinguished brand and boutique stores such as Nordstrom's, Tiffany, and Louis Vuitton. Entertainment options abound with Thunder Valley Casino Resort, Golf Land Sun Splash Water Park, PGA quality golf courses and celebrity dining options. 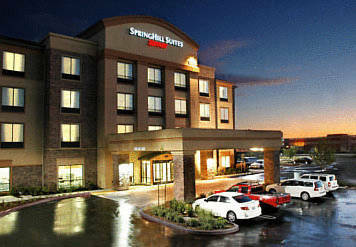 Near major corporations like Hewlett Packard, Oracle and State Farm Insurance, the SpringHill Suites Sacramento Roseville provides the service you deserve, comfort you need, and room to succeed.